In the Special Olympics Baseball Tournament, Lewis County Mariners took first place in state! We all have heard of the Special Olympics. This is where those with disabilities compete against each other in different events. Special Olympics brings those with disabilities together for more than just Olympics. The participants are there to be with those with disabilities and to merely have a good time supporting each other. 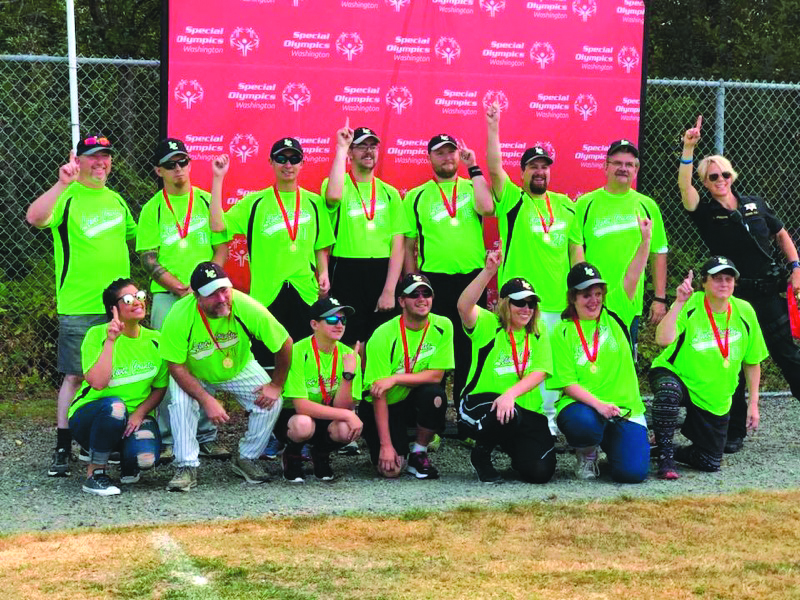 Recently, Special Olympics held their state baseball tournament in Everett and Lewis County Special Olympics were there to take on the challenge. The opening ceremonies were on a Friday evening, it is exactly what you see in the Olympics. The participants get to march with their teams during the opening. The excitement in their faces brings joy to everyone in the audience. Lewis County Mariners were invited to state and they came home with smiles from ear to ear. They played two games on Saturday which they won, then the final game was on Sunday. The Lewis County Mariners won the game 14 to 13 and they got the Gold Medal. They played hard and won the title for the county. Jo Hepner, grandmother of one of the participants stated,"These kids are tremendous; win, lose or draw they are happy for them. They are the happiest kids in the world, if only everyone could be like them." Bobby Hepner told his grandmother Jo during the game, "I prayed that we would win." and his prayers were answered, win they did! Congratulations to the Lewis County Mariners for their hard work.